Item # 282762 Stash Points: 499 (?) This is the number of points you get in The Zumiez Stash for purchasing this item. Stash points are redeemable for exclusive rewards only available to Zumiez Stash members. To redeem your points check out the rewards catalog on thestash.zumiez.com. Gear up for the new Winter season with Alibi's Multi-Color Stomp Pad, adding plenty of stylish grip to the top of your snowboard. 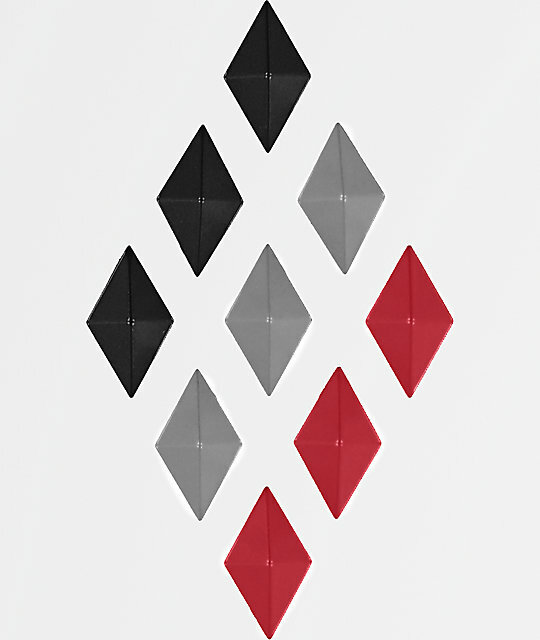 With a peel and stick adhesive backing, these black, grey and red diamonds are easy to apply and shape into a custom look. Package includes diamonds in black, grey and red.